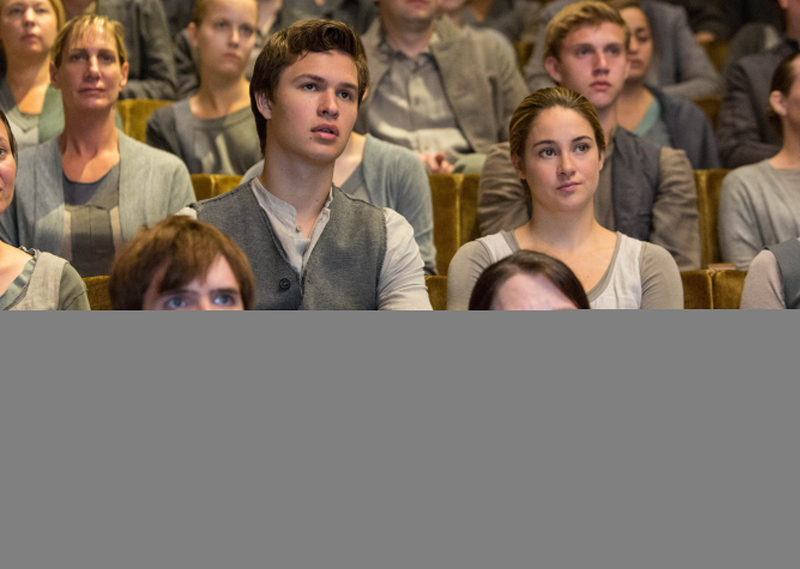 Divergent: Review for a Hollywood Film with No Divergence. Last Thursday, actor Ben Lloyd-Hughes was in town for the Montreal’s premiere of Divergent. Needless to say that the Quartier Latin theater was packed with journalists and fans of the book, eager to get a glimpse of the comedian and the movie. Divergent, for those who do not know, is based on the first book in the trilogy of Veronica Roth’s post-apocalyptic teen books set in a devastated Chicago. In this futuristic society, the population is now divided in five factions, each founded on different virtues. Together, they assure a peaceful continuity of the human race. As every teenager is tested and carefully pointed toward a faction or another, they are still free to choose where to place their allegiance. So everything’s cool… as long as they are not “divergent.” So here we are, following the adventure of Beatrice (Shailene Woodley), a teenager who is about to find out the price of being different by being “divergent”… and, oh yeah, uncover a major plot against the establish order. With Divergent, director Neil Burger crafts a masterfully helmed piece of work. Not only the movie bares all the ingredients for a commercial success, it avoid the ones that might be less tolerable for the common viewer. The cast look great: everyone is fit, beautiful, and shows off as many cool tattoos as physical prowess. The set design matches perfectly with Alwin Küchler’s (remember Danny Boyle’s Sunshine?) clean photography and special effects are breathtaking. Watch out for the zip line scene! In the lead, Shailene Woodley’s performance is pitched right and she manages to do so surrounded by established actresses like Kate Winslet and Ashley Judd. In short, everything from the music to the storyline is perfectly arranged and balanced to please teenagers from around the world. But commercial success often comes at a price. The film might disappoint anyone looking for deepness or content. To please as many as possible, the movie is emptied of any thought-provoking philosophies that could stand in the way of pure entertainment. Same goes with the logic and cohesion. And in this case, it is exactly what the screenwriters did. Even if the brief voice-over-introduction seemed enough at first, a questioning mind will soon find so many nonsensical moments, poor development and an absence of plausible explanations that it surely saps his pleasure. The whole story sounds to me more like a collage of cool ideas borrowed from other works of the same genre, glued together with almost no regard for cohesion or originality. The resulting film surfs on The Hunger Game wave (and even advertises itself as a lookalike). It is predictable to its core and the plot made it too easy for me to guess what adventures await Beatrice in the next two installments. While the story slightly echoes teenagers’ life orientation and school dilemmas, do not fool yourself, this title contains no viable take-home messages to inspire our youth. Even worse… some of the key aspect of Beatrice’s training (she’s in Dauntless, a militaristic faction that protects the citizens) is utterly violent and unnecessary. To be fair, Divergent never pretends to be anything other than a cool and pleasant entertainment vehicle destined for teens. No need to think, no heavy messages, just sit back and enjoy. It’s a generic roller coaster ride that is fun and never leaves the viewer bored. In this way, it accomplishes its goals and does it brilliantly. With sequels planned for 2015 and 2016, Divergent happily eases the wait for the next Hunger Games installment. 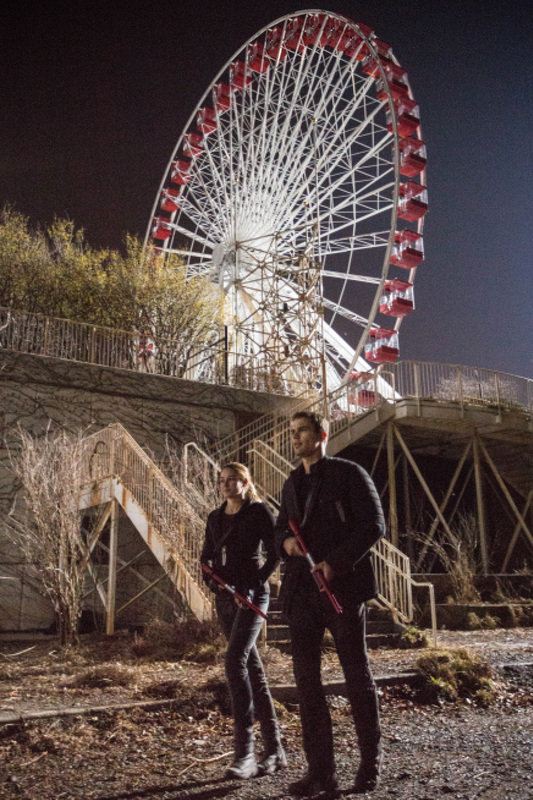 Divergent opens in theaters Canada wide on March 21st.